A few months back, a particular sponsored ad kept appearing on my facebook feed. I clicked on it a couple of times and one day, decided to really take the time to check out the website and I loved what I saw! As an adult, I love to read (and write). And as a parent, I love reading to my children. I started reading to my kids from the time they were little babies. We read every night before bed and it is a huge part of our routine. When I was sleep training them, I could be reading the same book up to 20 times a night before they eventually fall asleep! Today, at the age of 5 and 8 years old, we still enjoy reading before bed. The older girl would mostly read by herself but we would be reading with the little boy. The girl is an avid reader who devours books at an average rate of a book a day or up to three books a day during the school holidays and I see the little boy having similar appetite for books. 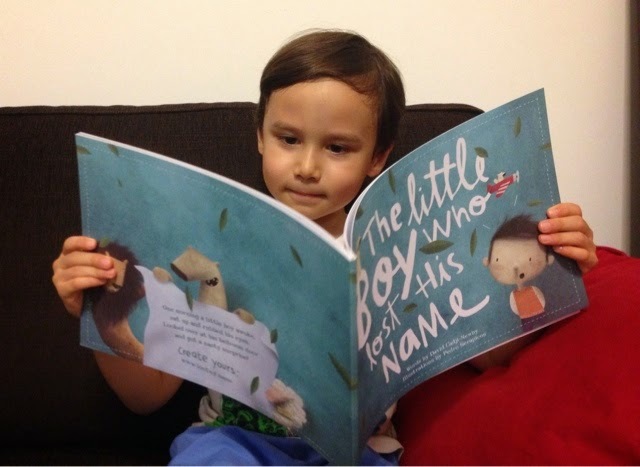 The website was lostmy.name and they create personalised story books for little children. I am sure they are not the first as I had seen other personalised books companies but they, in my opinion, have one of the nicest illustrations. The story and its accompanying images are beautiful. 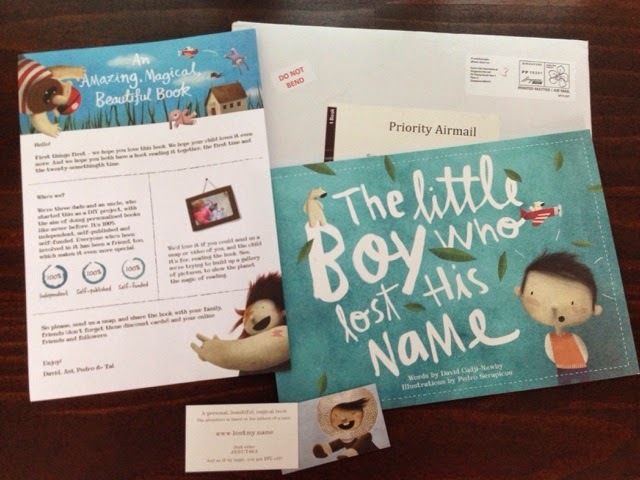 On the website, you would be able to create a preview of what the book looks like based on the child's name. The book looked as good as I imagined it to be! The paper used were of good quality and recycled. I was quite excited to give it to my little boy and to read it with him. Soon, he came home from school and right after he changed out of his uniform, I sat him down and gave him the book. I explained that the little boy lost his name and the book will help us find it. As we read, we went through the letters the main character in the book found through his adventure. When we finished the collecting the alphabets, I asked the boy if he knew what the name was and he told me, "oh, I'm forgetful so I cannot remember!" Hmmmm... So we went through the book again and this time, his eyes lit up and he broke into the sweetest little grin! "Did YOU make the book, mummy?" "You made it for me?" Oh, such a precious and sweet moment! He was amazed at how the story was all about him. After that he was so eager to share the book with his sis and later in the night, with his papa. I am so glad to have ordered the book. It is unique and created this special moment for me and the boy when we first read it together. That night, the husband asked me about ordering it as gifts for our friends' kids. The only thing about buying it as a gift is that one has to plan ahead as it took almost five weeks to get to us in Singapore. My readers could get a 10% discount by using the LOVESANDRA10 at checkout. I hope you like the book as much as we do!